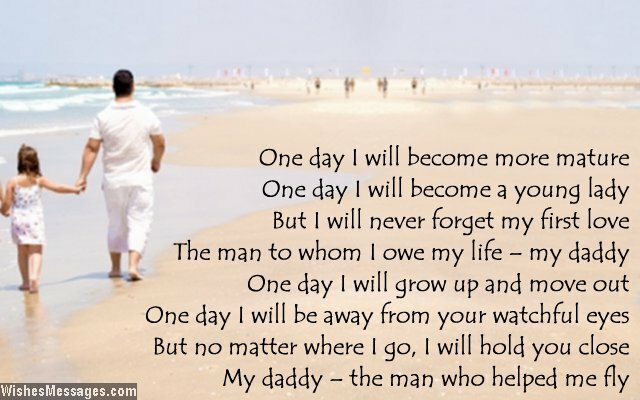 I love you poems for dad: You are never too old to give your old man a hug and tell him how much he means to you. Birthdays and Father’s Day are typically the only times dads get appreciated for what they do all year round. Instead of waiting for that perfect moment, write a sweet rhyme on a greeting card and give your dad something to smile about on a random day. Your cute effort at making him feel loved will melt his heart into a gooey blob. After all, it doesn’t take a lot to make a doting dad happy. A warm hug from his son or daughter is all it takes for the troubles of his life to vanish away.